I'm not going to sugarcoat this, I'm just going to come right out and say that I think you should reconsider using a digital music player for your wedding ceremony unless you hire a professional DJ to run it. While an iPod, iPad, or iPhone, and a buddy to run it, sounds like a good idea, the reality is sometimes not so great. On a bright, sunny day it's hard to read the display (even on the brightest setting). Who will operate the equipment? Asking a guest to do it means they'll miss out on the beauty of the moment. A wedding planner is usually too busy to also be in charge of the iPod. And likely neither of those options are professional sound equipment operators. What if the processional takes longer than the song you picked? Will the person operating the device be able to repeat the song seamlessly? Or fade into another song seamlessly? What if the song has lyrics that aren't "wedding friendly" but you really like other parts of the song? Do you have the skill to edit a digital song? Is that even legal? It's easy for the person operating the device to accidentally click on the wrong song. Or to skip to the next song if the device is jiggled (I've seen it happen!). You'll need to rent an audio system with good speakers that is compatible with your device in order to hear the music. Do you know how to set-up and operate an audio system? Or troubleshoot issues if they arise? If you're using your iPhone, who will remember to turn off the cellular data so the phone doesn't ring mid-ceremony? Will your friend realize if the song is too long and needs to fade out? Do they know how to fade in/fade out at the right tempo so it's not too fast or too slow? Some audio files are louder than others and the music player equalizer doesn't always work. Will your friend be savvy enough to adjust the sound so one song isn't louder than the next? Will you be worried about the music and therefore not present in the moment enjoying your wedding? I strongly suggest hiring a professional DJ to run the digital music for your ceremony. Or even better, to use live musicians! 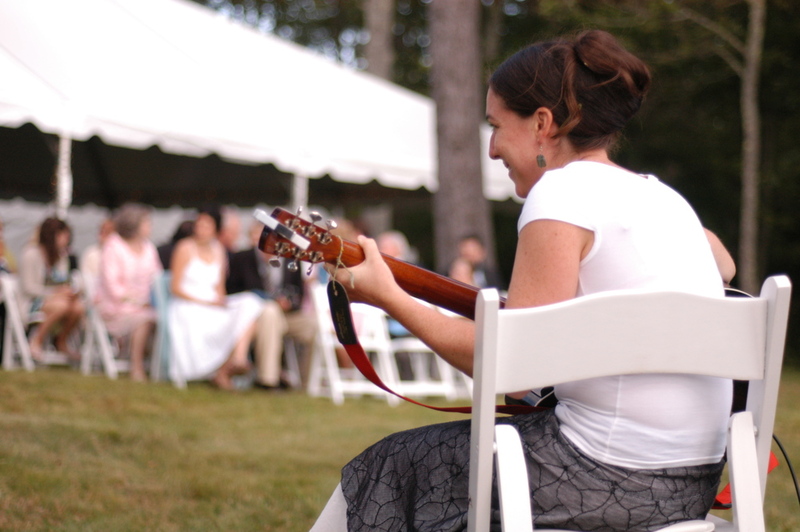 Asking a friend or family member to play music for your wedding ceremony is a lovely way to incorporate them into the actual ceremony. I will say this: I have officiated weddings that used a digital music player and everything went smoothly. So, I guess I'm not saying it can't be done. I think what I'm trying to say is hiring a professional to play the music at your wedding is a much less stressful option then doing it yourself. What about you? Did you use a digital music player for your wedding? How did it go? Any reasons I missed?